Z & K Design Inc. 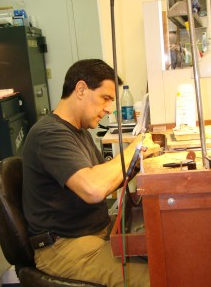 The Ultimate Jeweler - "Z"
Z can create or repair what is sure to be your favorite piece of jewelry. Come and let me create a piece of fine jewelry from your own drawings or sit in with you as a co-creator. You can let your inner designer get going so you have a true original. I want to be your Jewelry Specialist! See Z - You'll be glad you did!